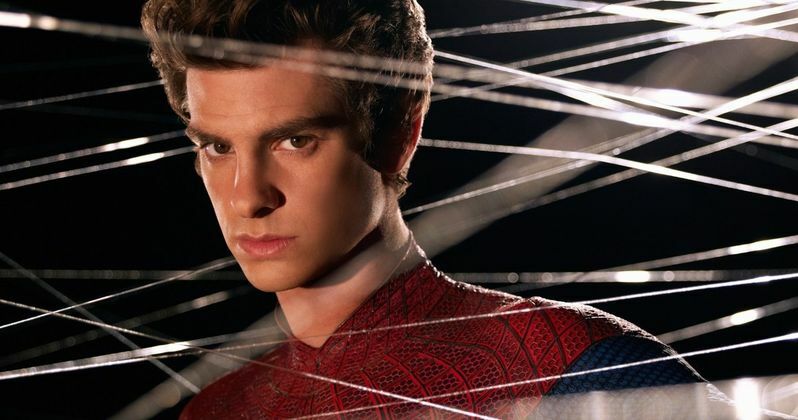 Sony had planned on a third adventure for Andrew Garfield as (The Amazing Spider-man}. It was going to expand the Spidey franchise with several spinoffs including Venom and Sinister Six. Despite not making another film with Andrew Garfield, the studio has made Venom starring Tom Hardy. Venom got mixed reviews, making some good money, but was not a blockbuster by any means. The movie however has served the role of "launcher" for Jared Leto's Morbius, the Black Cat, and Silver Sable as well as setting up a Venom 2 film that is on the way. Sadly though for Andrew Garfield, the Sony Spider-Man deal went awry when Sony sold out to Marvel studios, essentially sharing the superhero with the MCU. Tom Holland has assumed the role of the Spider-Man in place of Andrew Garfield since then. It has been four years since Andrew Garfield took off the Spidey suit. Garfield has done quite a few projects since his superhero days. Oddly enough though, in his newest project Under the Silver Lake, Spider-Man emerges again. There is a subtle, yet poignant reference in the film that Andrew discusses in an interview that emerged on twitter. In Under the Silver Lake, Sam (Andrew's character) gets his hand somehow stuck on a sticky Spider-Man comic book. The comic clings to his hand causing some mild frustration for Sam. Sam gets pretty angry flinging the comic book far out of frame. In this interview clip, Andrew explains that he wanted to know if the makers of the movie put the Spider-Man reference in just for him to read or was it going to be actually included in the movie. Andrew was hesitant at first, but embraced the inclusion of the scene, even seeing the action of throwing the comic away as somewhat cathartic. Everyone knows that Garfield was very, very passionate about his role as the legendary Spider-Man. If you remember Andrew even showed up unannounced at the San Diego Comic-Con to make an impassioned impromptu speech about him playing the character. Andrew Garfield still admires the Super Hero, but one can understand if he harbors some bitterness over playing the role for Sony. Sony didn't really know how to handle the hero, which was more than evident in the leaked Sony emails. It's not over yet for Andrew though, as his version of Spider-Man was set to be featured in Spider-Man: Into the Spider-Verse. Although his character was cut out, it does not mean that he won't be in the planned sequel. This news comes from Schnapsideer Twitter.